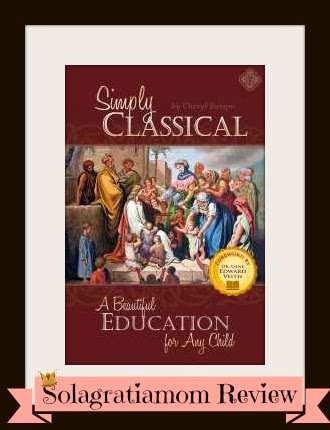 This is the second of three total posts regarding a review of the book Simply Classical - A Beautiful Education for Any Child by Cheryl Swope. You can see Cheryl speak in person at the Great Homeschool Conference, for those who may be going to that. If you are just tuning in, then I hope you will go back and read the first post on this book. If you already read the first post and have questions about your child or have an identified child with special needs, then I hope you have gotten the book and are reading along with me as I review Chapters 5 and 6 today. Next Monday will be the final post, along with a summary of my overall thoughts regarding this highly recommended book. I would also add, that even if you don't have a special needs child, there is great information about educating any child -they all have strengths and weaknesses educationally and it is worth the read. In this Chapter the focus shifts from discussion regarding what a classical education is and the personal story of Mrs. Swope's children, to a practical discussion regarding assessments. She helps the reader to clearly identify what it might look like to have a special needs child. I especially liked her approach to start with of creating a list of concerns that were very practical in nature - with things such as "argues with adults" or "fights with other children" as part of her list examples. She then discusses informal verses formal assessments and screening tools for specific conditions. There is a handy checklist for two major conditions prevalent in our society; autism and ADD. Then she helps you to identify specific characteristics inherent in learning disabilities and mental illness. These are helpful checklists for the reader who may be trying to figure out if their child has a learning disability or requires psychological services. She also instructs the reader to pull together a milestone checklist and provides samples of them and how to compare to typically developing peers. One of the helpful sections I personally found enlightening, was regarding the instructional level of your child and how to determine their various levels - independent, instructional and frustration. These are great insights for home educators endeavoring to teach any child. Towards the end of the chapter, she provides information regarding helpful resources and curriculums that seem to help struggling learners, with a specific discussion regarding reading levels and recommended resources to help in that particular area of instruction. This Chapter provides information regarding formal evaluations and how they work. It also discusses different avenues for obtaining a formal evaluation of your child, discussing children's hospitals and private agencies. She also makes a great point concerning the portability of a classical education, which is key when you have a special needs child who requires a lot of appointments for specialists and therapies. She provides recommended resources for utilizing the time spent in travel and in the waiting rooms or offices of professionals. She also coaches the reader in how to make requests of evaluators, how to set the tone with a formal evaluation team and gives you key terms to know for discussion. There is an explanation regarding IQ scores and she encourages the parent to become educated regarding evaluations, so they are well equipped to advocate for their child. She helps prepare the parent to face the results of the evaluation and to prepare the child for taking the evaluation. She also discusses how to follow recommendations made by evaluators and cautions the reader to remember that it's just one aspect of the child. Thoughts on how to guard the information for the child's good and knowing when to divulge it and to whom, is a worthy read. Lastly she discusses in more detail, how to integrate the needed therapies into a classical education and provides some information concerning supports. 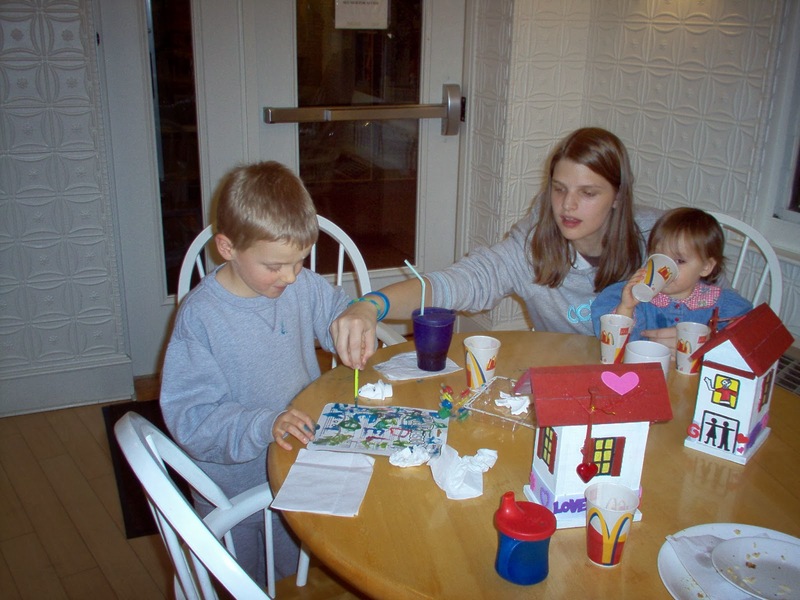 Mason, Brittney & Sarah at the Ronald McDonald House in Long Island NY before a procedure. Brittney & Mason in Atlanta before Hyperbaric Oxygen Treatments. 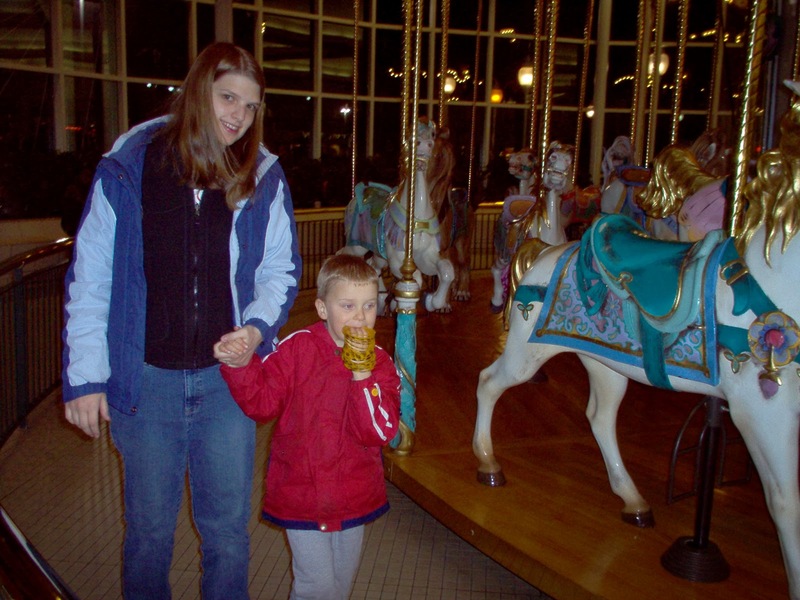 When my son was not quite two, he received a devastating diagnosis, in which we were told in a cold matter of fact manner - all the things that he would NEVER do. He'd never be able to be educated, potty trained, communicate and the list went on. I still can picture sitting in that PhD's office, in that well thought of University, as she so confidently listed out her defense regarding her stated position on all he would not be or do. I also clearly remember looking at my devastated husband who's countenance fell further with each word she spoke and I uttered the words back to her stunned and defensive, "How can you tell me all that he will not be? He is only two years old...you make NO room for God in your assessment! If I believed all you said today, I would go home and do nothing for this child! I can't...No, I won't believe what you say. I just can't!" I am sure they thought I was a delusional parent in denial - and perhaps I was - but I was also a very determined individual with a strong will and I took her words as "fighting words" and they motivated me to reach this child even more. I was blindsided by the diagnosis. I knew my son had "issues" but not that severely (OK -so yes, I WAS in denial). I was optimistic and thought he would get better and that it wasn't as bad as it seemed at times. I was ill prepared for that meeting in her office to reveal the results of his evaluation. It would have been very beneficial to have read a book like Simply Classical before I went down that road to having a formal evaluation. The good news that came out of my experience is... I NEVER again was unprepared or uneducated about my child's needs. It was a catalyst for me to become one of the biggest advocates for my son and it prompted me to pursue what I jokingly would call "a PhD in Mason"! I even became a nursing assistant, just so I could advocate medically for him better and help other families like my own. I encourage you, if you are struggling with your child and not sure if it's really that big a deal or not, to read this book. She does a beautiful job of simply laying out the facts and steps and makes it all easily understood to any parent who is new in the journey.